ISIS’s Attacks on Christians in Egypt Makes One Question – What Religion Does ISIS Really Follow? In late April, Pope Francis intends to visit Egypt despite rising tensions in the region that have caused violence and bloodshed between Christians and Muslims. Francis’ visit is an endeavor to show support and solidarity for the beleaguered Egyptian Christian minority community which continues to be targeted by fanatics and increasingly made to feel vulnerable in their own land. The recent spike in ISIS’s attacks in Egypt is undoubtedly troubling. In April alone, 27 Christians were killed in a blast inside a church in the northern city of Tanta. In Alexandria, also a northern city, 18 civilians and four police officers were also killed when a suicide bomber blew himself up outside a Coptic Christian Church. 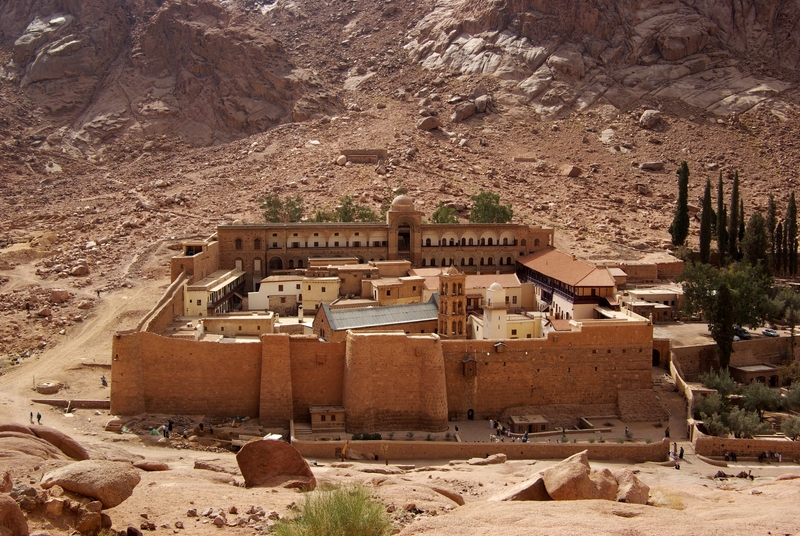 And just recently, as Christian Daily notes, Egyptian officers were attacked at a checkpoint near St. Catherine’s Monastery in Sinai, one of the oldest Christian monasteries in the world. St. Catherine’s is named after the fourth-century martyr from Alexandria and was built in the sixth century by the Byzantine Emperor Justinian. The monastery belongs to the Greek Orthodox Church and was declared a UNESCO world heritage site in 2003. St. Catherine of Alexandria, who the monastery is named after, was actually executed in ISIS style. First she was tortured on a breaking wheel, and when that didn’t kill her, she was beheaded. 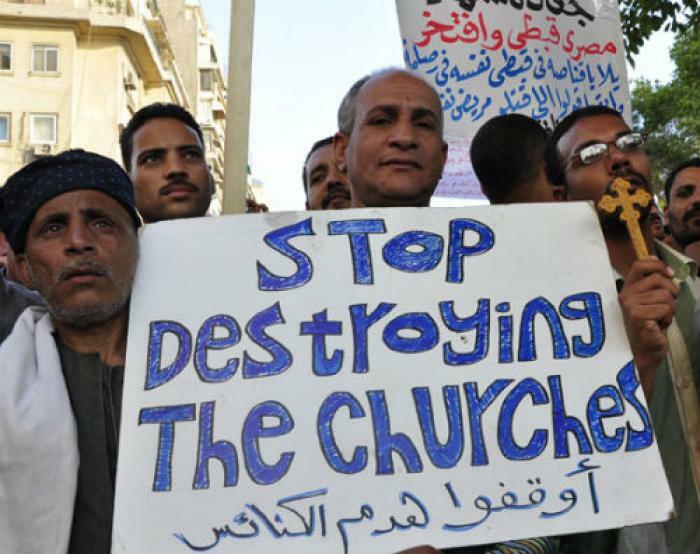 The Coptic Christians have also been attacked throughout Egypt over the last several years. 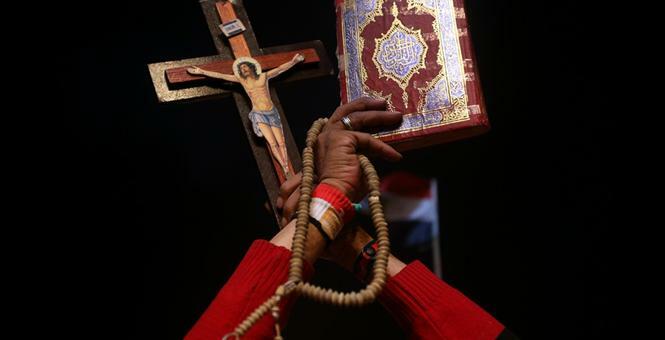 The Copts are Egypt’s largest Christian group. They make up roughly 10% of the entire population of Egypt. One of the hardest hit Copt areas, Al Nazla, has seen Christian homes and shops covered in graffiti that display anti-Christian sentiments. In this covenant, Muhammad encouraged harmony between Christians and Muslims. Not only did he provide protection for Christians, but he also exhibited his favor for human rights including freedom of conscience, freedom of worship, and the right to practice one’s religion freely, without even an ounce of persecution. The full text of Prophet Muhammad’s covenant with the Christian monks of Mount Sinai can be found here. “Those who believe, and those who follow the Jewish (scriptures), and the Christians and the Sabians – any who believe in God and the Last Day, and work righteousness, shall have their reward with their Lord; on them shall be no fear, nor shall they grieve” (2:62). To summarize, attacks on Egyptian Christians (and indeed Christians everywhere) goes against the most fundamental teachings and principles of Islam. If ISIS was sincere in establishing an “Islamic state,” they would protect churches and grant religious freedom to Christians. Perhaps ISIS members could renounce violence and persecution and stand for compassion and pluralism. Only then would they be reflecting the Prophet that they claim to follow. Great sentiments and understanding shown by you. Problem with IS is that they don’t spare Muslims and Mosques either, expecting them to honour Christians and Church is a bit too much. They are not humans let aside being Muslims. This is the problem with cherry picking benign sounding verses from the Quran, like the “Whoever killed a soul” one and the “No compulsion in religion” one. They look good on the outside but when you examine them more closely they are clearly rotten inside. Craig Considine must know this. The question is why he puts them forward in support of a religion which regards him, an infidel, as an enemy of Allah and only fit for the fire. When man kind recognize and open his heart and go on his knees to his maker ask for mercy to be guided to the right path and deep thinking like DR Considin and realize THAT this is a war against all believers of all faith than and only than will STOP SELF DESTRUTION…MUSLIM obligation like perform prayer and zakat ect is to protect the people of the book means Christian and jewish and pay their JIZYA if they can not afford it since muslim have to pay zakat like taxes and pay their debts for them and raise their orphan according to their parents religion so who ever harm house of THE CREATOR he is making believers fight against each other so evil can control BUT WHO CONTROL PIECE OF THE SKY??? ?wa assalamu alikum .please Dear DR Considin keep going may THE MOST MERCEFUL BE WITH .